Temperatures remain to be sky high with weather warnings nationwide. So it’s likely that your heating hasn’t been turned on for a number of weeks. Most of us are dreading the thought of saying goodbye to the heatwave. But before we know it, temperatures will have plummeted and we’re back to de-icing our cars daily. Purchasing oil is an expensive buy anyway but it is, of course, an essential one. Oil prices are subject to change depending on a number of factors. A significant one being the weather. Winter is the busiest time for oil deliveries meaning prices upsurge. When demand increases… prices increase. Oil companies are super busy, delivering up and down the country, so tanker availability could hamper your order. What’s more, bad weather makes access and travel somewhat of a challenge. Stocking up now will save yourself from having to pay a premium price. Are you in a remote location? If your house is in a hard-to-reach area, prices can increase because of the struggle to reach you and the distance required to travel there. Particularly in icy conditions. Plan ahead and order when demand is less to avoid hefty costs and the risk of running out. Crude oil is a major price component of kerosene. When worldwide demand changes, this consequently has a knock-on effect on kerosene. The middle east uproar is widely to blame, considering the significance of the region for worldwide supplies. 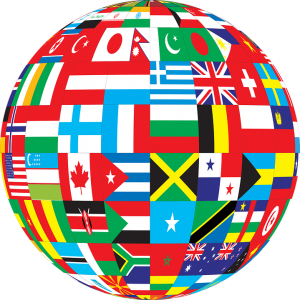 Saudi Arabia, Iran and the United Arab Emirates are amongst the world’s biggest producers. Recent events of the US leaving the Iran nuclear deal has resulted in prices increasing worldwide. You may be tempted to wait and see if prices decrease again but sadly, this is not on the horizon due to the sanctions being placed on Iran. So opting for a summer purchase is your best bet. The more heating oil you buy, the cheaper it will be. 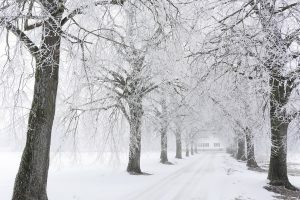 Buying in bulk and getting prepared for the winter is not only a smart choice but the only choice in ensuring your business or home is not disrupted this winter. With nationwide coverage, Crown Oil supplies heating oil in quantities from 500 to 36,000-litre barrels. It may seem strange to consider buying kerosene now but get ahead of the rush and you’ll thank us later. It’s clear that heating oil isn’t cheap, so protecting your tank against theft and leakage will save you money long-term. It’s really important to maintain a dry, clean and secure environment because if your fuel becomes contaminated it’s a challenge to resolve. 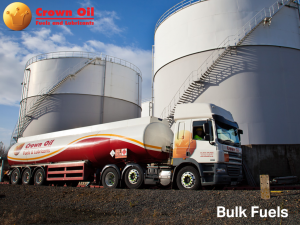 Crown Oil has a wide array of tanks and barrels for all your industrial and commercial storage solutions. To find out more visit our Tank & Fuel Storage page or call 0845 313 0845.